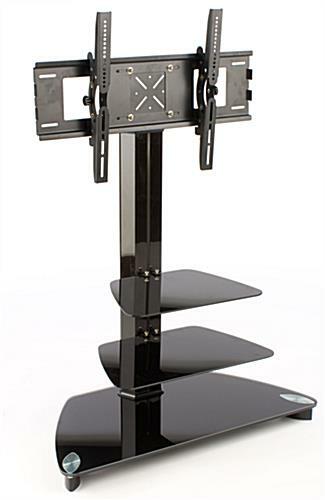 These TV Stands Feature a Trapezoidal Base in Elegant Black Glass! 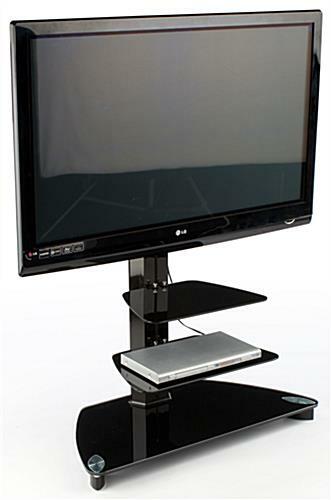 These TV Stands That Fit 50" Wide Screen TVs Use Clips For Tilting Plasma Displays! These TV Stands Are Fast Shipping Items! 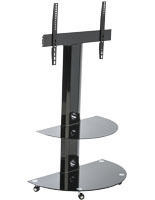 These plasma stands that fit 50" wide screen TVs tend to be the TV stands that will fully counterpart most all room. 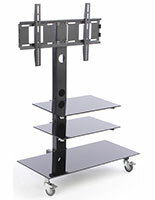 These flat panel stands, TV stands have (2) adaptable black glass shelves. These suggested shelves tend to be meant for holding DVD players, cable boxes, and game systems. The TV stands, like flat panel mounts and plasma TV stands, have a hollow center pipe to maintain wires neatly concealed from sight. 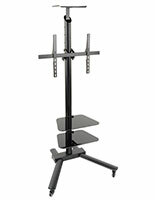 Provided with these TV stands is the tools required to attach one's own TV to the bracket. Some TVs may need special screws that tend to be usually procured at most tools shops. 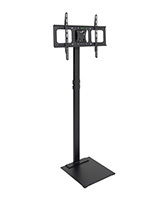 This exhibit is VESA compatible for 50mm x 100mm to 600mm x 400mm. 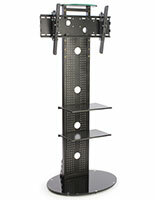 The TV stands incorporate an angling bracket that can maintain a 37" to 70" TV. 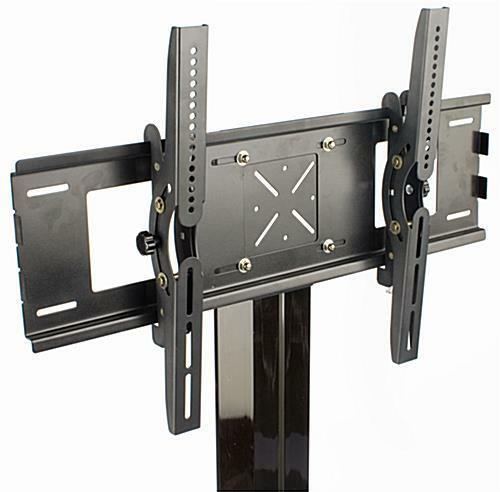 This bracket permits you to angle your Panasonic, Samsung, LG, or other TV 15 degrees upward or downward to best fit one's own viewing needs. 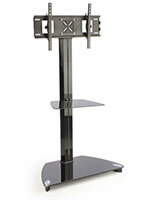 These plasma stands, TV stands have a weighted black glass base that maintains the stand steadfast. Feet underneath the stand lift one's own TV to more fully viewing height, and also assist to preclude scuffing from the glass base. 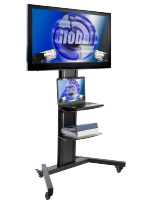 These TV stands, also recognized as plasma stands and flat monitor stands, tend to be the greatest worth it is possible to discover for this elite caliber TV stands.